The size and complexity of cases can vary dramatically. All too often, solutions that are easy to use — which are great for small cases — lack the advanced capabilities to handle bigger cases with large review teams and multiple review stages. 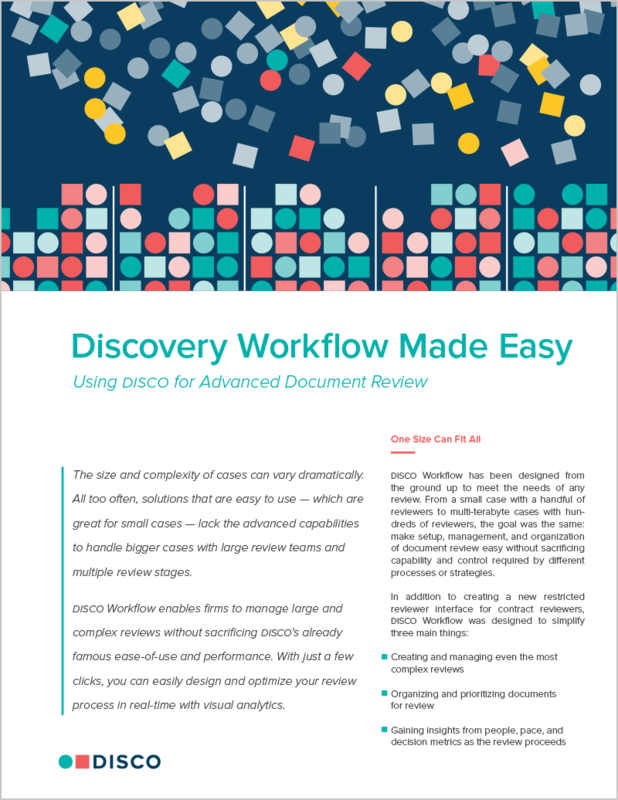 DISCO Workflow enables firms to manage large and complex reviews without sacrificing DISCO's already famous ease-of-use and performance. With just a few clicks, you can easily design and optimize your review process in real-time with visual analytics.